Otherwise a standard rim brake, 26″ wheeled LHT frame, the Trucker DeLuxe splits into front and rear halves, and is joined by brazed-in stainless steel threaded sleeves commonly known as S&S Couplers (S&S Machine is the company who invented and manufactures them). S&S Couplers allow the entire bicycle (without bags or racks) to fit into a case within airline regulation dimension for standard size luggage…meaning your bike can fly at the same price as a normal piece of checked luggage. 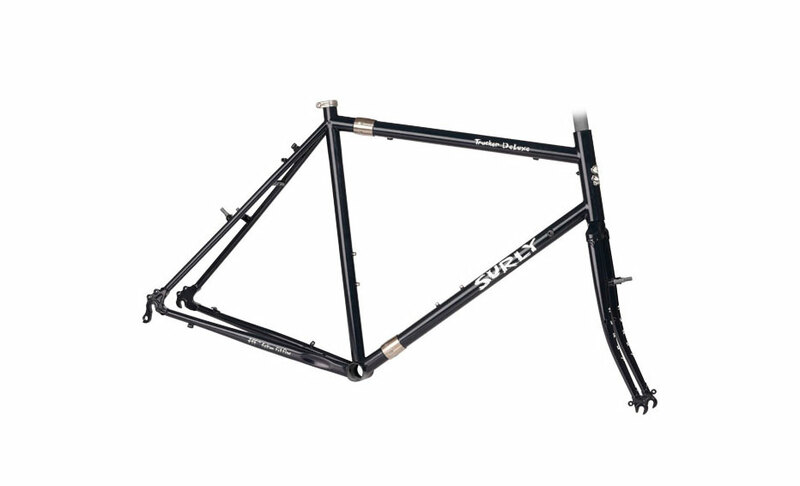 We sell this as a frameset only, and advise that to properly make use of the option this frame provides, a certain level of mechanical aptitude is required. You have been warned.